The PST Alpine Team will focus on the following three (3) ski racing disciplines throughout the season. The course is carefully designed to test the skill, timing, and judgment of competitors. The gates are placed in varying combinations, and it demands great skill to achieve the best line of approach and exit with the different combinations. A skier who misses a gate is disqualified. This is the only event that allows hiking to make a gate. The gates are a single hinged pole 6-11 meters apart with combinations about 4-6 meters apart. Quick turns and athleticism are rewarded in this event. 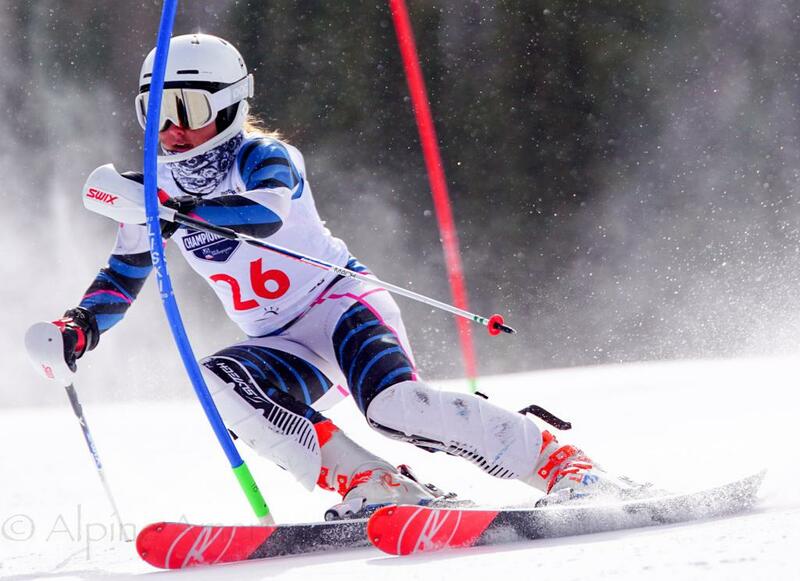 The giant slalom has characteristics of both the slalom and the downhill. Giant slalom gates are wider and set farther apart than Slalom and the course is longer. The gates are 15-25 meters (50-72ft) apart. Panels on two hinged gates are used in this event for better depth perception at higher speeds. Good turn shape and active movements are rewarded in this event. Super-G skiing combines the elements of downhill and giant slalom. The length of the course is shorter than in downhill where the athlete completes one run while navigating the gates that serve as obstacles. It focuses more on turning and technique with the tuck position being the most used in this race. Distances between turns range from 22-32m (72-105ft). Inspection and execution of line is key in this event because there are no training runs and the speeds are high with less rhythm. Interested in becoming a sponsor of Purgatory Ski Team? Helping you see better to live better.